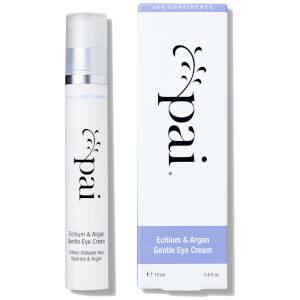 Address common skincare concerns with Pai Rosehip BioRenegerate Oil; a multi-tasking, best-selling formula to repair and protect, whilst minimising the appearance of fine lines, blemishes, scars and sun damage. Developed using volcanically sourced CO2 supercritical extraction to create a unique blend of Rosehip Fruit and Seed Oil, the nutrient-rich, deep orange-coloured formula is packed with omegas and antioxidants to enhance the skin's overnight regeneration process, without irritation. Helps to shield from environmental aggressors and visible damage, and improves firmness and elasticity for a smoother, more refined skin tone and texture. Can be used on the face and body to leave skin feeling conditioned and restored. Free from parabens, alcohol, artificial fragrances and SLS. Apply 2-3 drops to the palm of your hand and use fingertips to gently massage into clean, slightly damp skin on face or body. Allow the oil to fully absorb before dressing. For best results, use at night before bed. 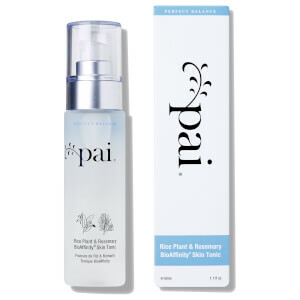 Pai Rice Plant & Rosemary BioAffinity Toner 1.7 oz.